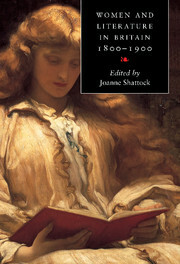 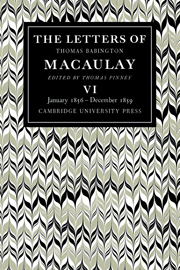 Some of Macaulay's letters were printed in nineteenth-century memoirs, but a 'Complete Letters' of this eminent Victorian has long been needed. 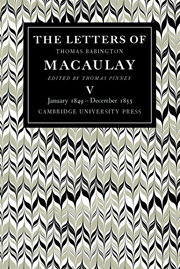 Professor Pinney is editing the whole body of surviving letters by Macaulay, giving accurate texts and textual and explanatory notes. 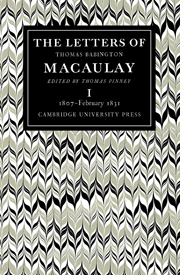 The letters are in chronological order, grouped by historical theme and phases of Macaulay's life. 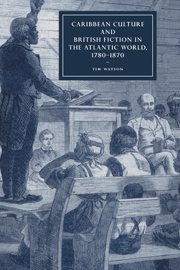 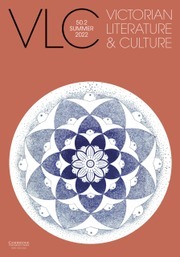 The first two volumes deal with his childhood, career at Cambridge, early legal career and early political career, and end with him about to leave for India. The letters are lively because Macaulay (as lawyer, essayist, historian, politician, administrator, poet) was a man of enormous energy and very wide interests. They will add greatly to our sense of early Victorian political and cultural life as well as to our understanding of Macaulay himself. 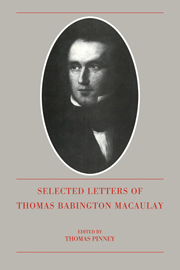 5. Letters of Uncertain Date, 1823–1833.